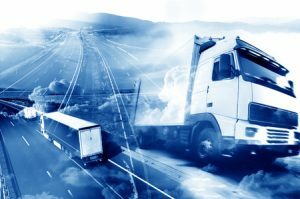 Things You May Not Know About the Truck Driving Industry | Platinum Drivers Inc.
Did you know that the trucking industry has been around for more than a century now? It started way back in the late 1800s when a German company called Gottlieb Daimler created the first truck. Since then, the trucking industry has changed a lot. Nevertheless, it’s still just as important today as it was when it first appeared the scene. Here are a few interesting facts about the truck driving industry that you might not know. The trucking industry employs a lot of people. There are about 3.5 million truck drivers out on the road right now. Nevertheless, of course, they aren’t the only ones who work in the trucking industry. There are also dispatchers, salespeople, and others who work in the industry and help it go. In total, there are approximately 8 million people who are employed by the trucking industry. The average truck driver puts in a ton of time on the road every year. Most people will live their entire life without taking a cross-country trip. Nevertheless, for truck drivers, driving back and forth across the country or taking trips that are the equivalent of cross-country adventures comes with the job. On average, a truck driver will drive more than 100,000 miles every year. For those keeping track, that works out to roughly 40 cross-country trips. There would be way fewer vehicles on the road today if the trucking industry didn’t exist. The U.S. has more than 260 million registered vehicles in it. That’s obviously a lot of cars and trucks. However, that number would be significantly lower without the trucking industry. The industry accounts for somewhere in the neighborhood of 12 percent of the registered vehicles on the road today. Does the trucking industry sound like something that you would like to be involved in? Platinum Drivers can provide you with truck driver resources as well as truck driver jobs in different parts of the country. Call us at 844-800-1421 today to see how we can help you. ← What is Attentional Blindness and How Can You Overcome It?